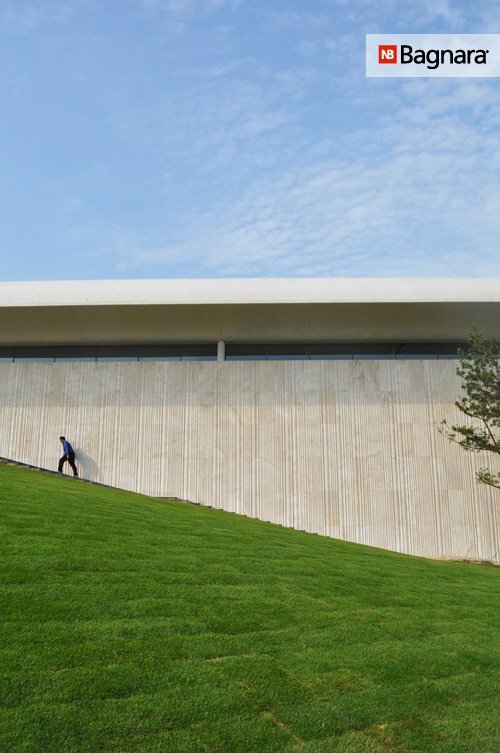 The spectacular and exclusive golf club building at the South Cape of South Korea was designed by the famous Korean architect Minsuk Cho of Mass Studies. 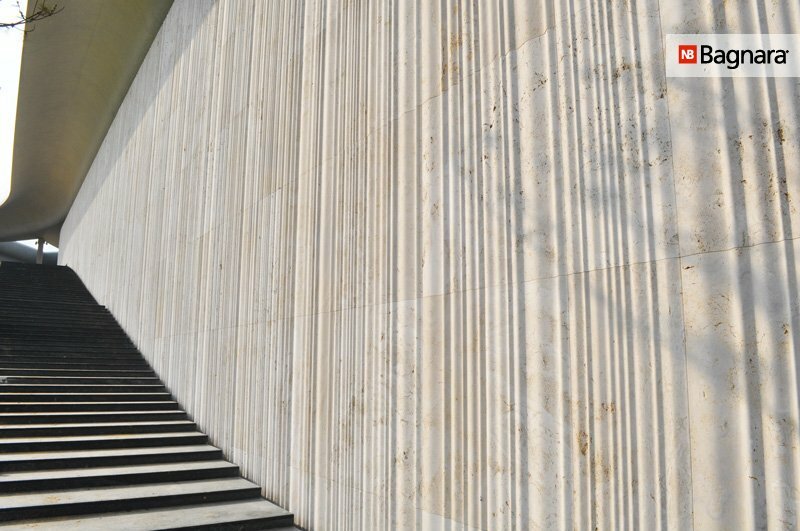 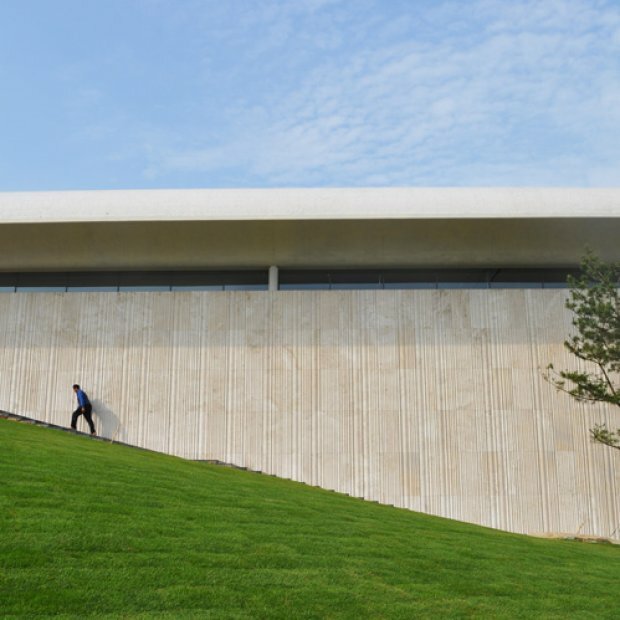 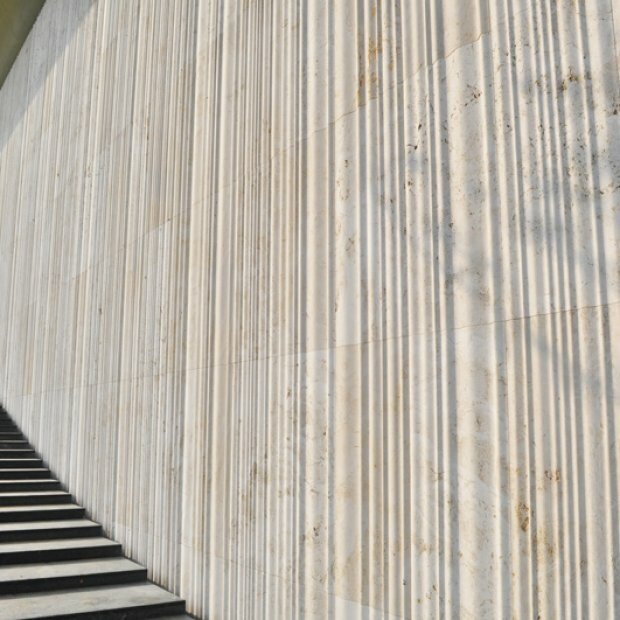 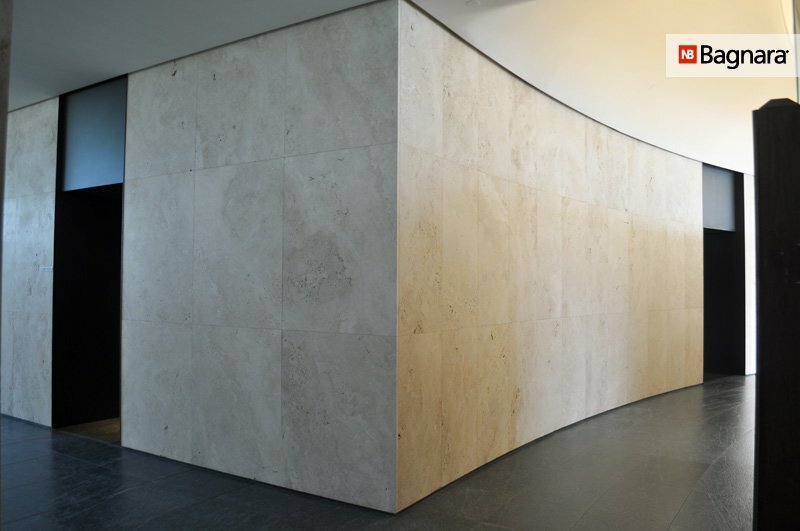 One of the many particularities of the building is the threedimensional travertine façade which was realized with the assistance of computer-controlled machines and the finest handicraft. 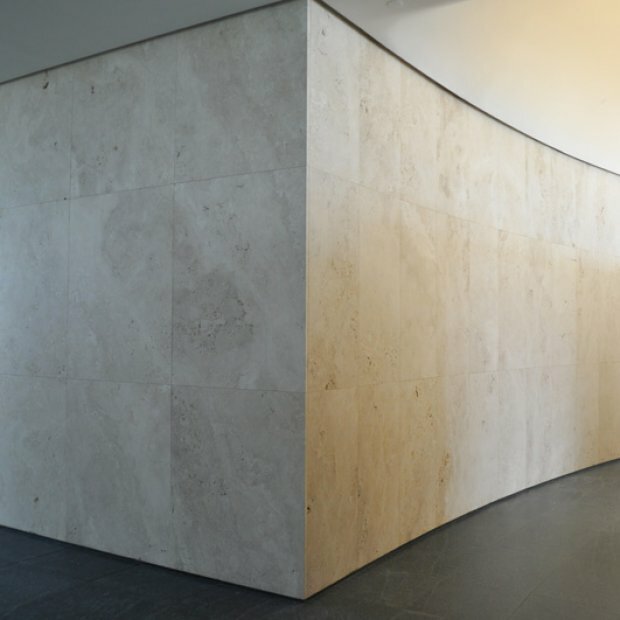 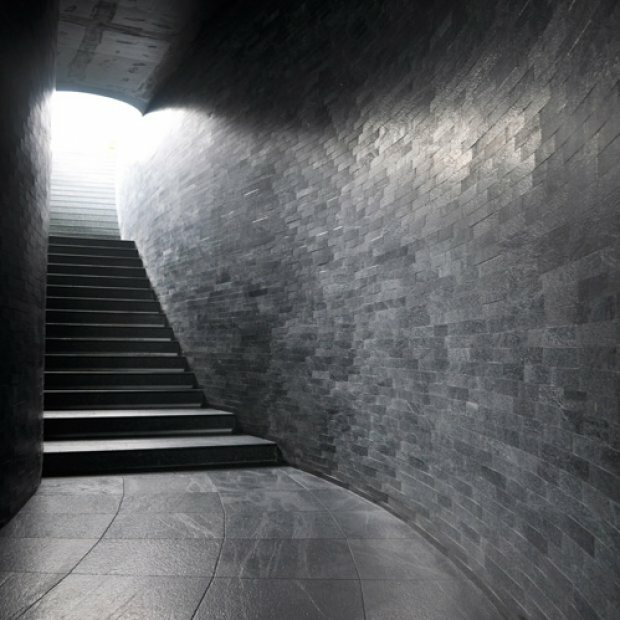 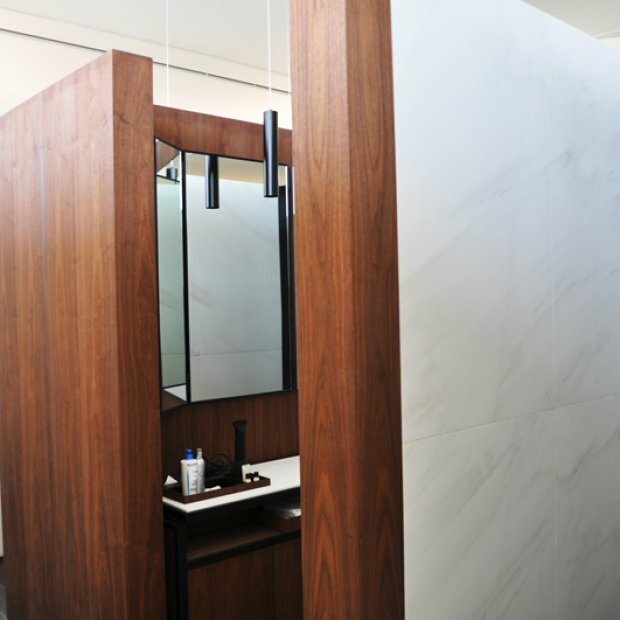 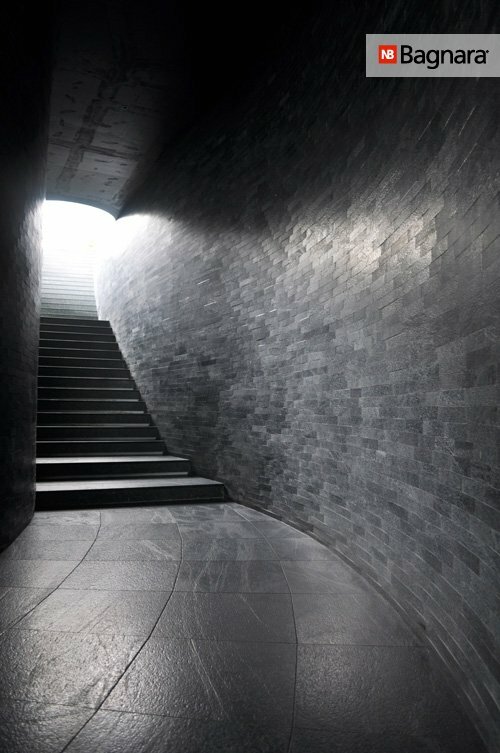 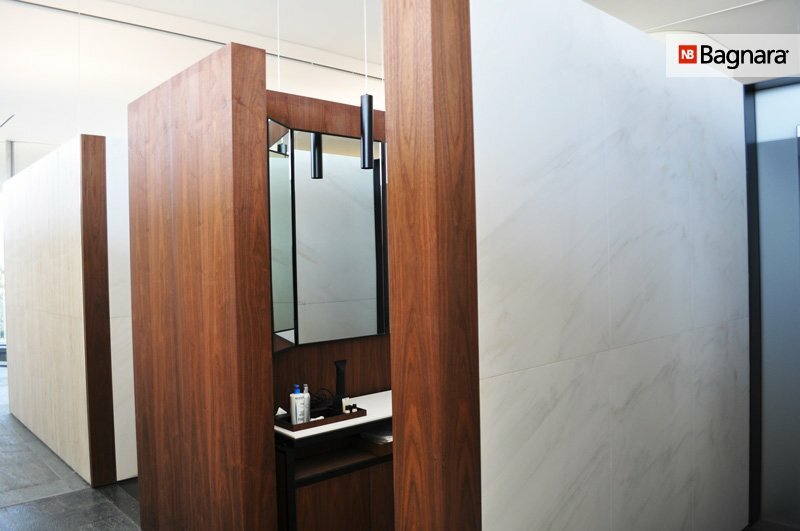 For this project, over 3,000 square meters (32,000 square feet) of natural stone were laid, including Bianco Lasa, Nero Assoluto Zimbabwe, Serpentine, and Alabama White.